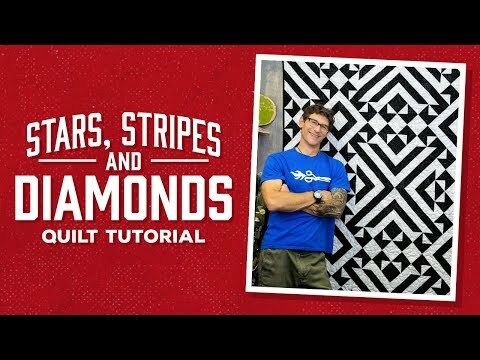 Digital Download - Stars Stripes & Diamonds Quilt Pattern from Man Sewing - Rob Appell - Missouri Star Quilt Co. If you are loving the high-contrast Black and White quilts like we are, then this is the quilt for you! It comes together easily with 5" squares. To make this project even easier, try our Missouri Star 5" x 15" Ruler.